With a variety of templates, you're clients are sure to love your tours. 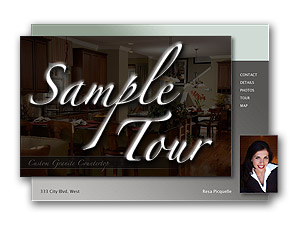 Select from the images below to see a sample tour, as well as some of the interfaces. Get started NOW, with no payment or credit card info required.